Reboot Computer Repairs Upper Mount Gravatt offers full range of hardware repair services to the Upper Mount Gravatt community and nearby suburbs. Our service is always available to both the residents and small businesses. If you suspect that your PC, laptop or Mac is starting to exhibit hardware failures, you are in the right place. We offer a variety of affordable solution to your hardware repair needs. We have expertise in desktop and laptop brands including but not limited to Acer, Apple, Asus, Dell, HP, Lenovo, MSI, Samsung, Sony, and Toshiba. 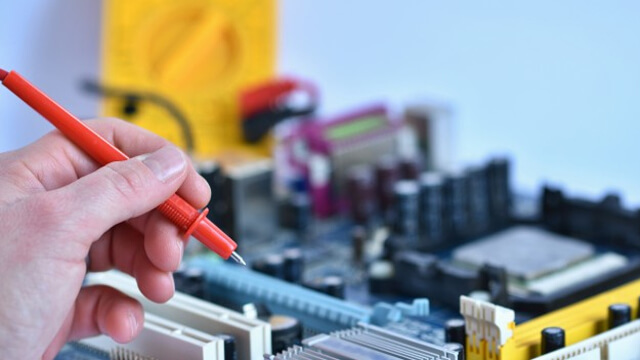 Our expert technicians will diagnose your hardware issue and will inform you about the needed fix and available options to perfectly fit you budget. You can be confident that our service will never have any hidden fees and any other unexpected and unpleasant surprises on your service bills. We will only charge you a fixed and very affordable rate of $110 per hour and we will always keep you informed all throughout the repair process. Most of our standard repairs are completed within an hour and it is always our priority to let you know if the repair is making any progress. Support on both warranty and out-of-warranty hardware repairs – We also offer a dedicated service for insurance reports on your devices that has been accidentally damaged. Data backup and recovery – At Reboot Computer Repairs Upper Mount Gravatt, we value our customers’ personal data than anything else. In cases that your hard drive is faulty, we will make sure that all your data are safe and we will try to recover any data loss caused by the hardware failure. Virus, malware and spyware removal – There are some instances that computer viruses causes your device’s hardware to perform as expected. This malicious software often interferes on the computer performance and making you think that your hardware is failing. We can get these pesky programs out of your personal computers or laptops. Before bringing your PC, laptop or Mac computer to our workshop, it is best to first give us a call at (07) 3155 2002 to talk to one of our experts and might save you the trip. Our workshop is open 7 days a week from 7am up to 10pm and even on holidays. We can also offer onsite service that is absolutely free of call out fees and travel costs. Visit our services area to learn more about the right services available for you.